Content is all over your marketing, your writing, your website, your leaflets, and your sales letter. Today we are not going to talk about content of your marketing. We’re just discussing the content of your content. Once you write something and publish it, the job is done, right? But what happens when you go back and read what you published a couple of years later? It might look a bit different. So how do you keep your content from going stale during that two year period on places like Google? Let’s use me and my fire safety business for example. Let’s say someone wrote an article for my business that explains the fire extinguishers servicing regulations in 2015. Now, two years down the road, when somebody is researching that same article, the principles from 2015 are not going to be the same for 2017. The first thing that the person is going to think is that this fire extinguisher company is out of date. They are not going to think that it’s Google’s fault. So, how do you stop that happening? 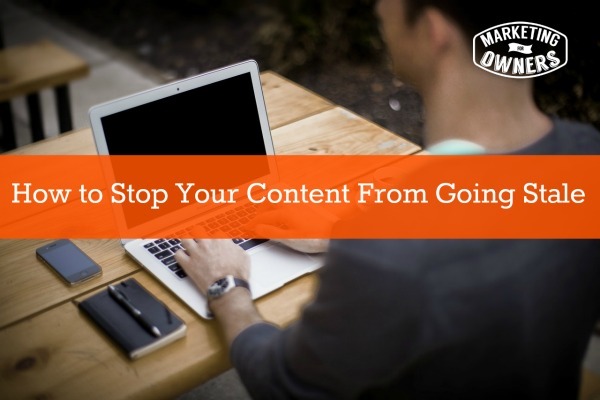 You need to have a system in place, and that system is updating your content regularly. You need to make sure you are putting up new content all the time, but first, let’s talk about systems a little bit more. When you write something and publish it on your website (and you are writing something, right? ), why not record it in a spreadsheet. Just put the URL of the actual article on your website in that spreadsheet and decide what type of content it is. Whatever your article was about, give it a general theme and then put that in a column. This way, later when you want to write new content about that theme that you gave that article and other articles like it, you will lots of content to link to in your new article. Now, let’s go back and think about the 2015 article from above. You will need to decide if you are going to write another regulation article, revamp the old one, or link it in your newly published article. How often do you think that you will need to review those types of articles? It’s your trade, so you should know that information. For example — the fire extinguisher article from above, I will need to update that annually because I know in my industry, new regulations are put out all the time. I want to keep my content fresh and new, so I will need to spend time researching and updating that certain article frequently. Once I update that and change the title to the new year, etc. I will enter that into my central database (like the spreadsheet I mentioned above). This way, I can tell what needs to be reviewed and it doesn’t take as long. Don’t forget a lot of this will just be general or evergreen content that you’ll never need to look at again. This isn’t a lot of work but it does systematize keeping you up to date and making you look fresh and not stale. Think about it! The other alternative of course is to start a blog and then to write constantly, but that doesn’t mean you need to publish something everyday it just means you need to write constantly. Then, consistently put up new information as it comes available. Write a brand new post, and then go into the old post and put on the top there is a newer version of this at and point them to new URL so keeps them on the fresh content. This will show your customers that you are good and that you’re bringing out newer news all the time and that you’re useful to them and want to show them what is important. I hope this makes sense for you. This is our system and it works for us, and it works for you too! I love finding new people to follow on Twitter. They give us examples of varying business and today we’re going to talk about a business called seamless. 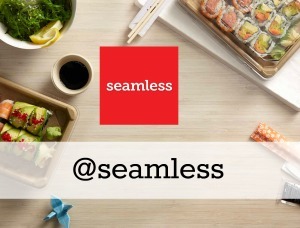 Seamless.com is based in the USA and the UK and they provide, food for business meetings, staff, clients or whenever you need to bring food in. They have a website and they work with local restaurants so they can give you lots of choices for food options. They do all the work for you! All you have to do is order online, and then they bring it in from all the local restaurants and then you get a single bill instead of a bunch of tiny bills from all around. The reason I want you to look at their Twitter stream is because they have a way of tempting you. They use food, showing delicious pictures and recipes, and the food looks great. It makes you feel hungry. They have around 145,000 followers the last time I looked and they follow back around 30,000 which is good. They get re-tweeted a lot and a ton of their followers share their content. The visual pictures are very tempting! What an excellent way of getting your brand out there. Check them out on Twitter and see what I mean. What content do you need to update today?